Car pick-up from hotel to vineyards & back to hotel. For questions, please email us after reading the following information: Transportation/transfers from Mumbai/Pune not included. 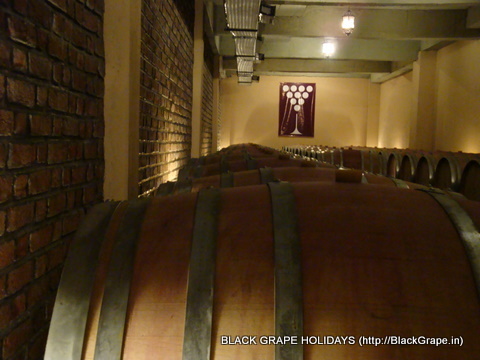 Wine tours possible on weekdays with prior arrangements. Lunch/dinner not included in package.Extra nights can be added at cost. Hotels offered subject to availability, alternatives offered if sold-out. Confirmed booking online only, cannot be done over phone. Tours are conducted on weekends starting Saturday. The same tours are also available on weekdays (subject to prior confirmations).Please note that the itinerary below is subject to modification by our staff & winery staff in Nashik considering local traffic conditions, opening times for tasting rooms and any events/dry days at wineries & any maintainance work undertaken at wineries. Arrive at Nashik and check-in. Car/van pick-up at Hotel and depart for Zampa vineyards for visit and tasting. Later proceed to Sula for winery visit and wine tasting. After Sula winery, proceed to York winery for wine tasting. Offer is valid till 31st March 2014 (except long weekends, festive/holiday seasons, Christmas & New Year). Any other specific offers/deals will have their validity date mentioned. Price is for 2 persons sharing one double or twin room. Children requiring extra bed will be charged extra by hotel this has to be paid in cash at Hotel directly if hotel permits triple stay. Single person pacakge price: If the single person books with min two other persons (total 3 persons travelling) - the cost is lower as the car cost is shared by group of 3. For single person travelling/visiting alone the cost shall be higher as separate car shall have to be booked for one person. No transport to/from Mumbai or Pune is included in package. It is expected that customers will be using their own car to reach Nashik till Hotel. 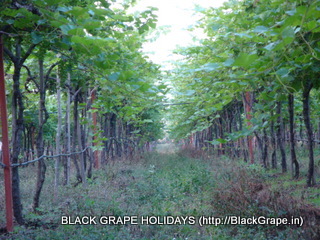 Our car service is included only to/from hotel in Nashik to vineyards and back. The driver/car shall not wait beyond the stipulated itinerary times. Any extra waiting charges shall have to be bourne by the customer and paid in cash to the driver. Extending of the car/driver hours is only possible if all passengers in the car/van agree for the wait as cars/vans are shared service. Itinerary: This is subject to change if the winery notifies us of changed timings or dry days. In case there is a dry day for one of the days of the weekend, we will schedue the winery visits to the other day. Any winery visit that cannot be done due the group not keeping to time at earlier wineries won't be refunded. We urge customers to keep to the itinerary so that all the winery visits can be completed in given time. Most wineries have a cut off time for winery visit of approx 5.30pm. The wine tasting at winery is available even if the winery visits can't be done due to delay. After purchase customers must must call us on 09545 158505 (10am-6.30pm Mon-Fri) atleast 5 days prior to confirm their vineyard tour dates. Black Grape Holidays will then book out their hotel stay, wine tasting and car transfers to vineyards for the subsequent weekend and send out the booking details on email. If you are looking to book for a specific date, please call us before you pay to check availability. A confirmation of a particular date for the tour is subject to availability of rooms at the hotel for that date. We may offer you another hotel if our usual mentioned hotel is not available. Hotel rules and check-in/out timings will apply as per their norms. They may charge extra for early checkin or late check out which needs to be paid by the customer in cash to hotel directly. Cancellation - The offer is non-refundable and non-cancellable. Postponement after confirming the date - You can opt to postpone your vineyard tour after you have confirmed the dates if Black Grape Holidays is intimated by phone and email atleast 96 hours (4 days before) the departure date. Please call back again to confirm a later date. If you are booking within the 96 hours (4 days) window, no changes would be possible. All date changes are subject to availability of rooms at hotel. Postponement is not possible for peak season and festive periods like Diwali, Chistmas, New Year etc. Please carry proof of age with you while on the vineyard tour. Vineyards may refuse to serve you incase you are unable to show the age proof if questioned. Wine tasting will be only offered to persons of legal drinking age as notified by authorities. No refund will be applicable if you are refused wine tasting if underage or are unable to produce the proof of age if questioned by wineries. Testing of select products in included in the package. Tasting of Optional or Premium or Reserve products not included. Any disputes subject to jurisdiction of city of Pune only. Please note that these are Nashik Wine Tasting and Vineyard Tours but wine tasting is optional.Please do not drink and drive. From time to time we sell event+stay packages on our webiste. Our website is merely a selling agent for such events and we do not take any responsibility for the quality or service at such events including but not limited to music, food and drinks served at the event and event content/format. Payment : Online via our payment gateway or if you prefer to our bank account by cheque or netbanking. No payment on arrival is possible at Nashik or any other weekend breaks that are sold online. We are a Pune based business. ALL PHOTOS ON THIS WEBSITE ARE COPYRIGHT OF BLACK GRAPE HOLIDAYS. NO UNAUTHORISED USE IS ALLOWED. Discounts for 2 bookings and more. One night stay at Hotel Surya (Nashik). Hotel to YORK vineyard is 20 mins drive. 31 Dec 2010: Check-in/out time is 12.00/12.00. Check in at your leisure. 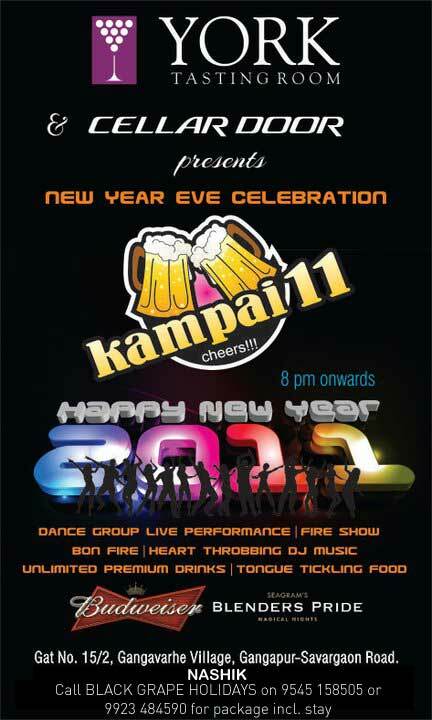 You can join the party anytime 8.00pm onwards. No guided service or vineyard visits included. Only party and stay offer. 1 Jan 2011: Breakfast and check out by 12.00. Please call use to check for any room cancellations. Party passes are available at venue.